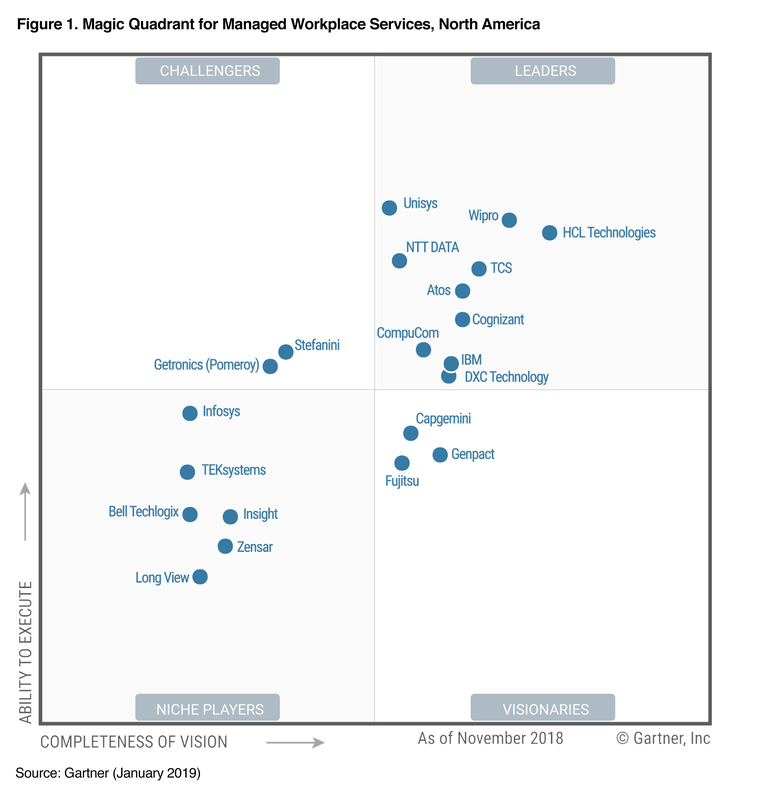 Atos moved up in the Leader’s Quadrant! See why Gartner Named Atos Digital Workplace (DWP) a Leader for the Second Year in a Row. What makes Atos a Managed Workplace Services (MWS) leader? You do. Our digital workplace solutions are built around your priorities. We begin by mapping your MWS journey through progressive innovations toward efficiency. A third of our service desk contacts are handled by automation, self-service or chat. That’s 33 percent more bandwidth to improve your user experience through further innovation. We deliver a digital workspace with a secure user experience – anytime, anywhere, on any device. More than a million Atos service desk users enjoy flexible support options like virtual agents, IT vending machines, and tech bars physical and virtual. We are a true partner committed to the success of your digital workplace. Beyond service levels, our predictive and prescriptive analytics continually target user experience and adoption to maintain progress as your business changes. We work with a strong network of partners to deliver solutions that meet your changing business and workplace needs. This graphic was published by Gartner, Inc. as part of a larger research document and should be evaluated in the context of the entire document. The Gartner document is available upon request from Atos. Gartner does not endorse any vendor, product or service depicted in its research publications, and does not advise technology users to select only those vendors with the highest ratings or other designation. Gartner research publications consist of the opinions of Gartner’s research organization and should not be construed as statements of fact. Gartner disclaims all warranties, expressed or implied, with respect to this research, including any warranties of merchantability or fitness for a particular purpose.GARTNER is a registered trademark and service mark of Gartner, Inc. and/or its affiliates in the U.S. and internationally, and is used herein with permission. All rights reserved.